“It is well documented by industry commentators that lawyers are simply not hardwired to be managers or leaders. In fact, the very qualities and thinking patterns that make us good lawyers are the things preventing us from succeeding in management roles. 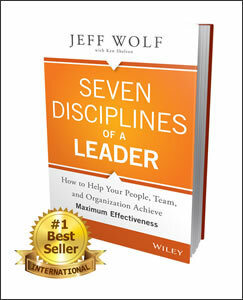 Welcome to Seven Disciplines of aLeader – The LeadershipDevelopment Solution! What happens during the program? The training weaves lecturette, individual and experiential group activities, case studies, and exercises into every session so that participants can practice newly-learned skills in a safe environment, receive feedback from their peers, and experience a solid transfer of the skills to their daily practice as leaders. Between sessions,1-on-1 coaching is provided to help solidify the skills learned for sustainable behavioral change. In addition, participants are given a360º feedback assessment that measures their leadership effectiveness. How long is the program? The program is highly customized to suit your timeframe, specific needs, firm culture and you rbudget. It can be delivered in one intensive 5-day session; it can be delivered in 6 workshops over an interval of 12-18 months; it can be delivered half virtually (webinars) and half classroom. All with the coaching component built in to address real-time issues and change behavior. In addition, our program can easily be integrated into existing leadership development programs your firm already has in place. What topics does the program cover? The program follows the same structure as the book and has participants examine and practice the Seven Disciplines first, followed by the ElevenPractices of an Effective Leader for a mastery of the skills needed to be an effective leader in today’s legal environment. Introduction: What Makes Certain Leaders Highly Effective?